2009 December 17 Steve Nguyen, Ph.D. When making decisions about whether or not to hire prospective job applicants, interviewers are influenced by an applicant’s attractiveness (Shahani-Denning, 2003, citing Watkins & Johnston, 2000; Jawahar & Mattsson, 2005). There is a great deal of evidence that being good-looking positively impacts the hiring decisions of employers (Shahani-Denning, 2003, citing Watkins & Johnston). This is known as the “what is beautiful is good” stereotype (Shahani-Denning, 2003, citing Dion, Berscheid & Walster, 1972). Kassin, Fein, & Markus (2008, citing Hosoda, Stone-Romero, & Coats, 2003) found that as a society, we tend to favor those who are good-looking. And while this isn’t fair, research has found it to be true (Watkins & Johnston, 2000). “Research shows that not only are good-looking applicants more likely to be hired, but they are likely to be hired at a higher starting salary. Attractiveness makes a difference with promotions, too. People ascribe more positive characteristics to attractive people” (Eichinger, Lombardo, & Ulrich, 2004, p. 124). Whether researchers studied business school students or real-life HR professionals, the results were almost identical. The majority of the candidates hired were more attractive (Jawahar & Mattsson, 2005). “[A]ttractive applicants are preferred over less attractive applicants” (Jawahar & Mattsson, 2005, p. 571). While not surprising that attractive applicants tend to be hired more than less attractive applicants, what is surprising is that attractive applicants are also offered higher starting salaries compared to those considered less attractive (Toledano, 2013). There is research suggesting that experienced managers do not seem to fall prey to this attractiveness/beautyism bias compared to managers who are not as experienced (Jawahar & Mattsson, 2005). “In short, attractive individuals will receive more job offers, better advancement opportunities, and higher salaries than their less attractive peers—despite numerous findings that they are no more intelligent or capable” (Toledano, 2013, para. 5). So, given this unfair reality, what are applicants (who aren’t as attractive) to do? Jawahar & Mattsson (2005) assert that because good-looking people are believed to have better social skills, the bias against those who aren’t as good-looking might have more to do with the belief that the “less attractive” are less socially skilled. The researchers recommended that people who aren’t good-looking can help themselves by “demonstrating their social skills and directing the interviewer’s attention to other strengths” (Jawahar & Mattsson, 2005, p. 572). Written By: Steve Nguyen, Ph.D.
Dion, K. K., Berscheid, E., & Walster, E. (1972). What is beautiful is what is good. Journal of Personality and Social Psychology, 24, 285-290. Eichinger, R. W., Lombardo, M. M., & Ulrich, D. (2004). 100 things you need to know: Best people practices for managers & HR. Minneapolis, MN: Lominger Limited. Hosoda, M., Stone-Romero, E. F., & Coats, G. (2003). The effects of physical attractiveness on job-related outcomes: A meta-analysis of experimental studies. Personnel Psychology, 56, 431-462. Jawahar, I. M., & Mattsson, J. (2005). Sexism and beautyism effects in selection as a function of self-monitoring level of decision maker. Journal of Applied Psychology, 90(3), 563-573. Kassin, S., Fein, S., & Markus, H. R. (2008). Social Psychology (7th ed.). Boston, MA: Houghton Mifflin. Watkins, L. M., & Johnston, L. (2000). Screening job applicants: The impact of physical attractiveness and application quality. International Journal of Selection and Assessment, 8, 76-84. Subscribe for free. Enter your email. I/O Psychology and Organizational Behavior: I/O Psychology studies people, work behavior, and work settings to understand how behavior is influenced, changed, & enhanced to benefit employees & organizations. Organizational Behavior is about understanding, explaining, and improving the attitudes and behaviors of individuals and groups in organizations. [*I/O Psychology and OB are closely related & there's a huge overlap]. Talent Management: a set of processes and programs in an organization designed and implemented to attract, develop, deploy, and retain talent to meet critical current and future business needs, and ensure that the organization has a robust pipeline of internal talent for critical positions. Change Management: capability & interventions for leading & managing the people side of change to achieve a desired outcome. It's about people adopting new mindsets, policies, practices, and behaviors to deliver organizational results. 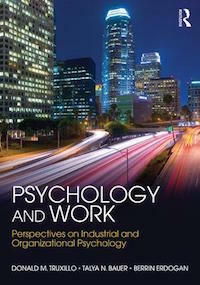 Dr. Nguyen is delighted to be a featured book reviewer for Psychology and Work: Perspectives on Industrial and Organizational Psychology, an Industrial and Organizational (I/O) Psychology textbook. 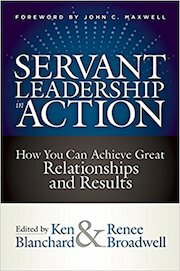 Dr. Nguyen is happy to be a featured book reviewer for Servant Leadership in Action, a collection of 42 essays from servant leadership experts and practitioners. 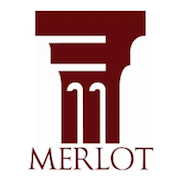 WorkplacePsychology.Net is honored to be listed as a peer-reviewed resource in MERLOT (Multimedia Educational Resource for Learning and Online Teaching), a digital library for instructors using technology in higher education.